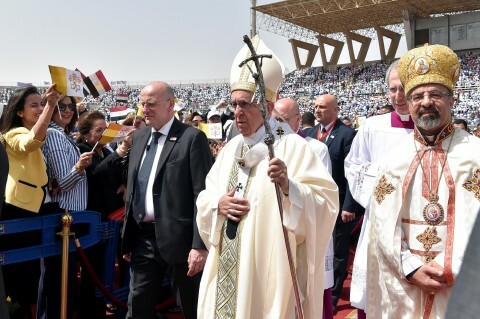 Amnesty International is sounding the alarm bells about the increasing and “terrifying wave of attacks” against Christians in Egypt, just as the leader of the world’s 1.2 billion Catholic Christians, Pope Francis, is headed there in a display of solidarity with these persecuted brethren. He will meet this week with Egypt’s President el-Sisi and the Grand Imam Sheik el-Tayeb in an attempt to promote peace and protection for Egypt’s 9 million Christians living under assault in the largest Muslim country of the Arab world. It’s a risky trip, and not just in the diplomatic sense. The Pontiff will fearlessly celebrate an open-air mass on Saturday in Cairo, despite the frequency of church bombings there.